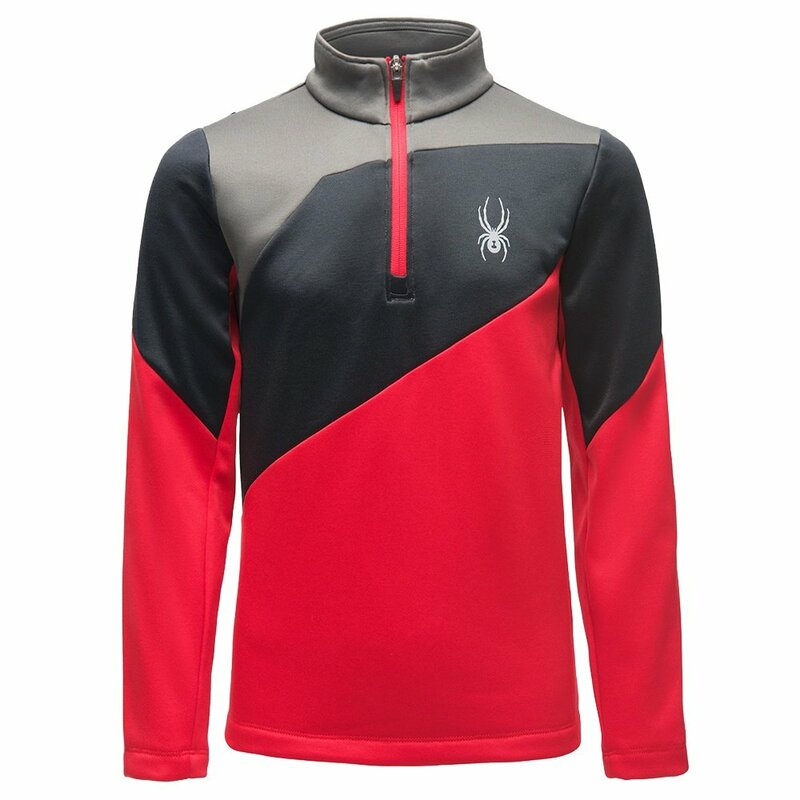 Complement his Spyder ensemble with the Spyder Ambush Zip Turtleneck Mid-Layer – compatible with the ski jacket of the same name. This comfortable mid-layer is made from a knit fleece that’s soft on the skin and offers some much-needed warmth. Up top, the turtleneck design adds some protection from the winter elements and a half zipper makes for easy adjustments and removal. The unique color block design also adds some flair to his ski gear. "What size would you recommend for a six year old"
"Thank you for your inquiry. According to the Spyder size chart I would recommend a size XS in "Kids" sizing for a 6 year old."